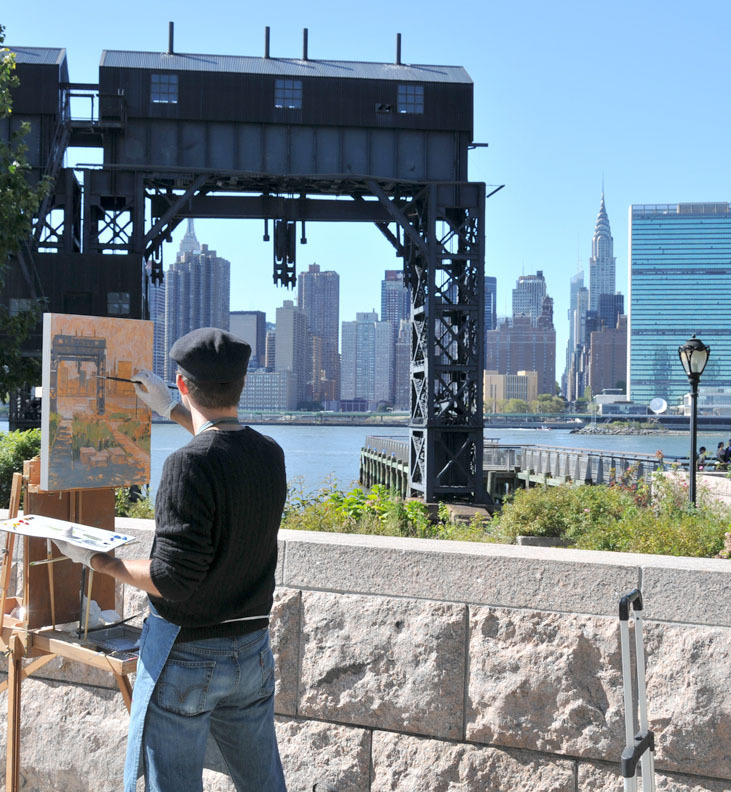 Working on-site, the artist creates cityscape oil paintings on tempered masonite. 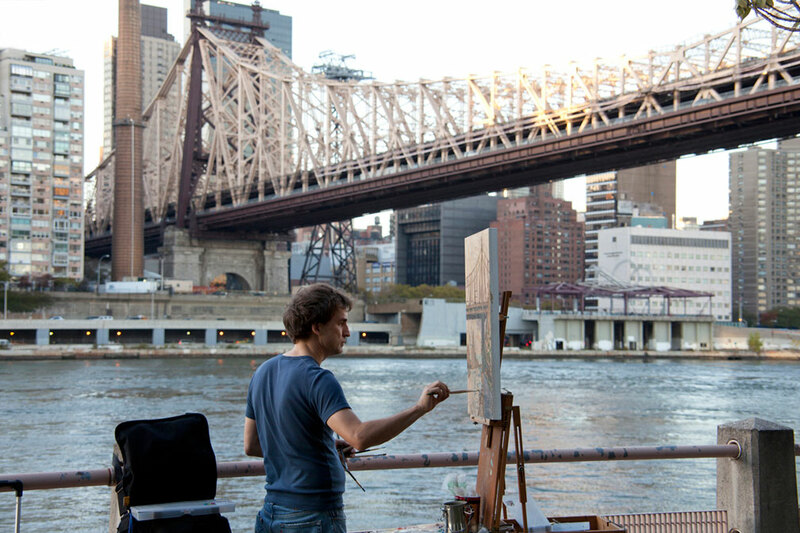 He enjoys alternating between or combining the use of paint brushes and palette knives on different pieces. These works are available as commissioned and original artwork.